Apostle Paul said, “…turning to a different gospel…trying to pervert the gospel of Christ.” They will “pervert” the Gospel or the teachings of the Bible, thus, teaching a “different Christ” – different from what the apostles preached (and written in the Bible). For this reason, the Church Of Christ indeed believe in the Lord Jesus Christ, but our belief regarding the Lord is what the Bible teaches about Him. The Iglesia Ni Cristo upholds the teachings of the apostles written in the Bible regarding the Lord Jesus Christ. 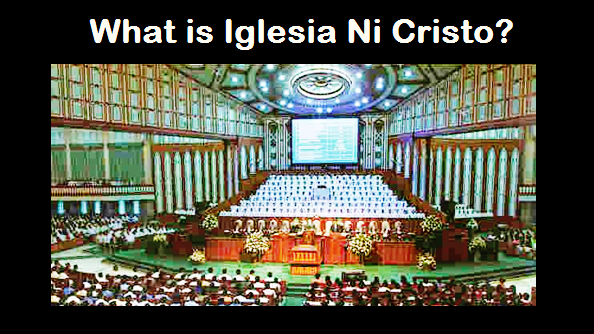 On what the Bible teaches about Christ is how the Iglesia Ni Cristo recognized Him. “And when the centurion, who stood there in front of Jesus, heard his cry and saw how he died, he said, ‘Surely THIS MAN WAS THE SON OF GOD!’” (Mark 15:39, NIV, emphasis mine). Thus, the Bible clearly teaches that Jesus is the Son of the living God, and not the living God. Jesus is our Savior, but He became our Savior because “God exalted this man to His right hand as ruler and Savior.” Although, Jesus is our Savior, but the Bible also mentioned that He is a man exalted by God.